MASNA will be awarding its annual Student Scholarships at the MACNA 2016 banquet on Saturday, September 10th, 2016. Two $4000.00 scholarships will be granted, one to an undergraduate student and one to a graduate student. It is with great pleasure that we present to you this year’s MASNA Student Scholarship recipients: The 2016-2017 MASNA Graduate Student Scholarship recipient is Elizabeth “Liz” Groover who is attending the University of Florida Tropical Aquaculture Lab (TAL) for her Master of Science degree. At TAL, Liz is working on the captive reproduction, larval culture, and production techniques for three species of wrasse prized by the aquarium trade. In her own words “I’m really enjoying my first few weeks of grad school at TAL! 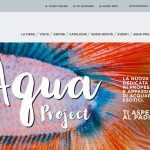 [We are] already making some progress with the wrasses and it’s really exciting.” After MACNA 2015 in Washington, D.C., Liz started a six month internship with Biota Aquaculture in Palau. At Biota Aquaculture, Liz was able to work and learn many facets of the marine aquarium aquaculture industry. 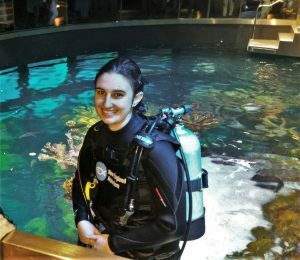 Her experience there has influenced her greatly, and after finishing her master’s degree, Liz plans to get more hands-on, real-world experience by working at various marine aquarium aquaculture facilities around the world. She is interested in joining the Peace Corps and traveling to underdeveloped countries in the Pacific and Caribbean to help the local populations make a living through sustainable fish, clam, and coral aquaculture. The 2016-2017 MASNA Undergraduate Student Scholarship recipient is Kory Enneking. Kory is a full time Marine Biology & Environmental Science undergraduate student at the University of North Carolina, Wilmington. Kory currently keeps three tanks at home and one at school. At school he maintains a 4-gallon mushroom and zoanthid system. 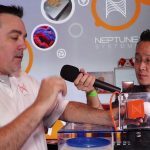 At home he has a 55-gallon mixed reef, a 24-gallon biocube, and a 24” × 48” frag tank for zoanthid grow-out and bubble-tip anemone propagation. Kory believes that much in the world can be learned just as well outside, as inside a classroom. 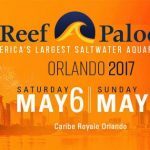 Hands-on learning is certainly a hallmark of the marine aquarium hobby. 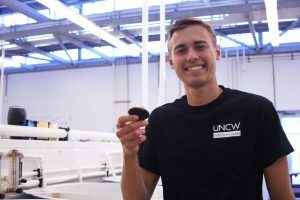 With this in mind, Kory co-founded the UNC Wilmington Reef Club to help teach other students how to maintain marine aquariums by providing an avenue for them to physically interact with the systems they maintain, and not just read about them in books and blogs. Kory served as the Vice President and Social Media Coordinator for the club from 2014 – 2015. Over the past 9 years, the Marine Aquarium Societies of North America (MASNA) has provided $48,000 in funding for undergraduate and graduate college students to help continue their degrees in the marine science discipline. 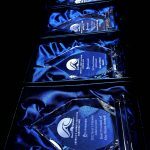 Applications for the awards are judged based on the applicant’s enrollment in a marine science undergraduate or graduate degree program, a G.P.A. 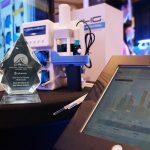 of 2.5/4.0 or greater, and their proven contributions and demonstrated commitment to the marine aquarium hobby. This year’s scholarship selection committee was co-chaired by MASNA President, Kevin Erickson, and MASNA Industry, Legislation, & Ocean Conservation Director, Dr. Adeljean Ho. The committee further consisted of Tom Lisciandra, MASNA Secretary, Christine Rowe, MASNA Treasurer, Dr. Craig Bingman, a Biochemist at the University of Wisconsin, Madison, Dr. Matthew Wittenrich, Marine Biologist, Matthew Pedersen, Editor of Reef 2 Rainforest, Kristin Privitera-Johnson, 2010 – 2011 Undergraduate MASNA Scholarship Winner, Robert Ortiz, 2012 – 2013 MASNA Undergraduate Scholarship Winner, and Tim Lyons, 2015 – 2016 MASNA Undergraduate Scholarship Winner.